What are freestanding baths made of? Are freestanding baths comfortable? Are freestanding baths hard to clean? Are freestanding baths fixed to the floor? All of your questions and more right here! What are freestanding baths made of? Are freestanding baths hard to clean? Are freestanding baths fixed to the floor? 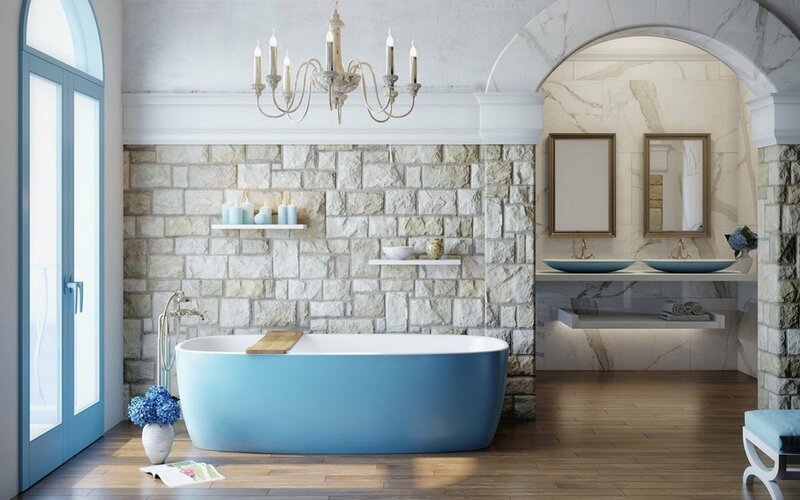 Freestanding baths can be made from many different materials, but the most popular two materials used for freestanding bathtub construction are solid surface materials and high-quality acrylic. There are of course other materials that freestanding bathtubs have been made of, however, their quality could be questionable. Steel, cast iron, and even wooden freestanding bathtubs are among some of the materials used to make freestanding bathtubs. As with any bathtub that you decide on, comfort is in the ‘eye of the beholder’ or should we say in the ‘feel of the body’. 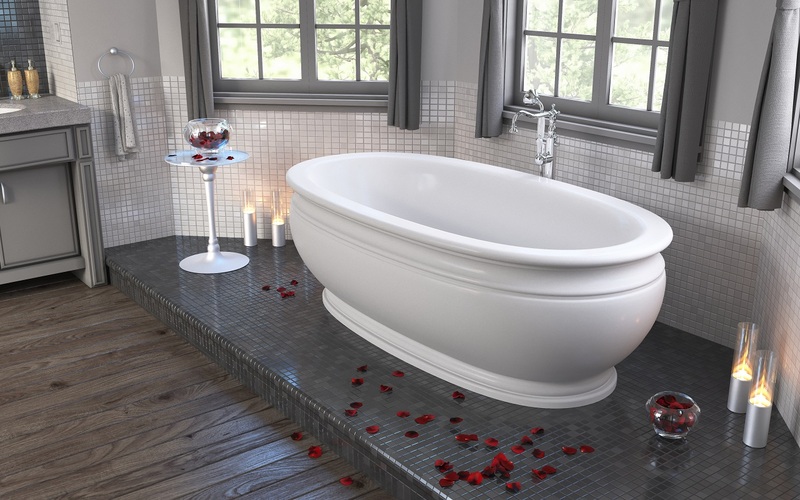 Most freestanding bathtubs have been designed for comfort, but be sure tol look out for a tub that has been specifically designed with an ergonomic form to fit the body’s shape and give it the most comfort. In general, most freestanding bathtubs are very comfortable and have a nice deep soaking level as well as a slope that will provide your back with a perfectly comfortable spot to relax. This is probably the one question that most housewives think about, because the first thought that comes to mind is, how am I going to get around those hard to reach corners with a freestanding bathtub stuck in the corner. Well, to be frank, why have a freestanding bathtub if you’re just going to stick it in the corner, like you would a built-in or drop-in tub? Freestanding bathtubs can be very easy and very simple to clean when placed in the perfect spot in your bathroom, give yourself some room, if you have a big bathroom to work with, which is mostly the case when choosing a freestanding bathtub, then take advantage of that! 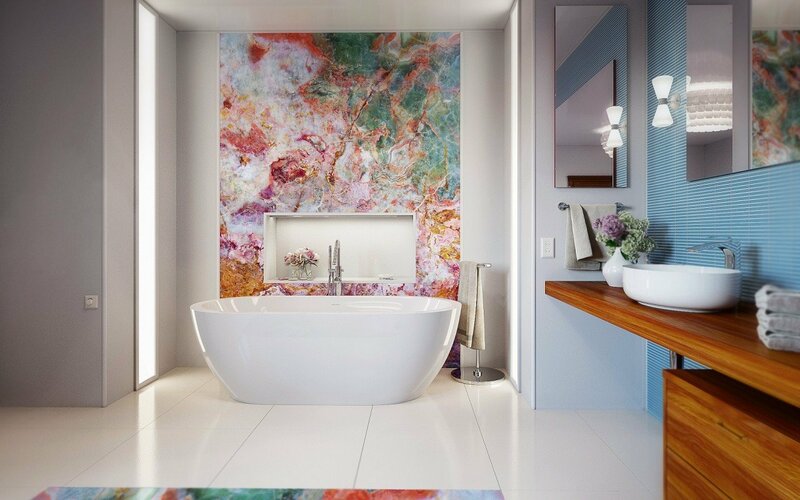 Place your gorgeous new tub in the middle of the room, or with enough room to walk all around it. This will not only make cleaning a breeze but will make your tub the center of attention! Freestanding tubs are not fixed to the floor unless you want them to be. Most of the time, especially with solid stone bathtubs, gravity takes care of the "moving" issue. Which means that unless we‘re talking about a very lightweight acrylic tub with no water in it, then your bathtub is probably several hundred pounds, making it very stable. If you feel you have the ability to move this just be stepping into/out of it, then you can look at several alternative ways of fixing it to the floor. If you do have a lightweight acrylic bathtub and are concerned about it not being fixed to the floor, you can place a bit of silicone sealant under the levelling feet. This will assist in restricting the bath being moved, however, it does also mean that when it comes to maintenance or removal of the tub, some unnecessary force has to be used!